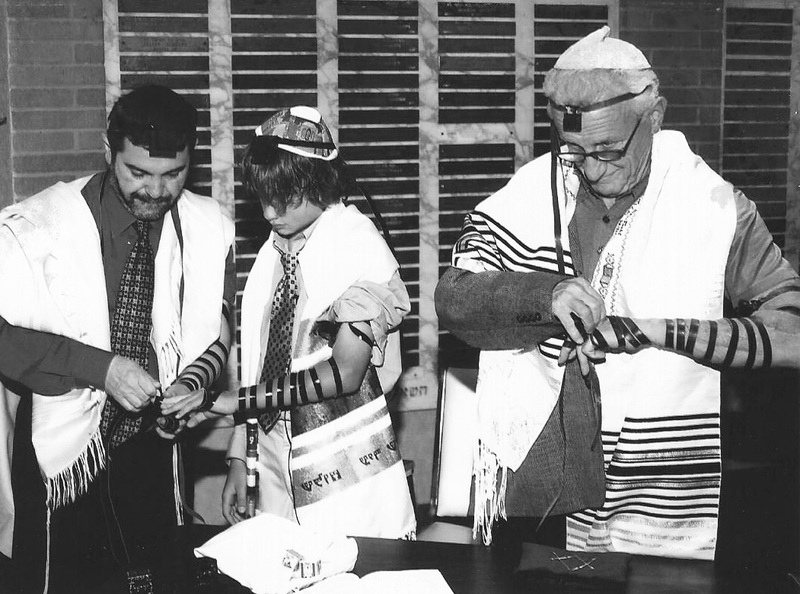 Jacques and Jake, assisted by cantor Itzhak Zhrebker, prepare for Jake’s bar mitzvah, in 2006. 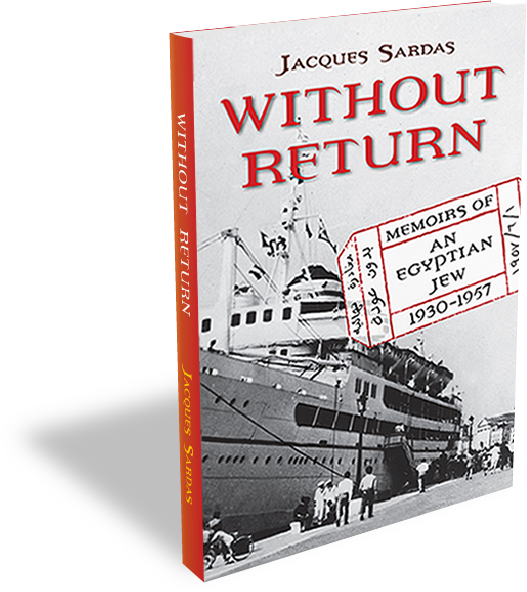 When prejudice and violence against Jews in Egypt escalated in the 1950s following the Suez Canal crisis, Jacques and his Sephardic Jewish family realized they had to leave the Egypt they loved. To his surprise and dismay, their exit visas bore the words “Departure definitive, without return.” Jacques and others like him—people who were considered “foreign,” even though they had been born in Egypt—could never see their homeland again. 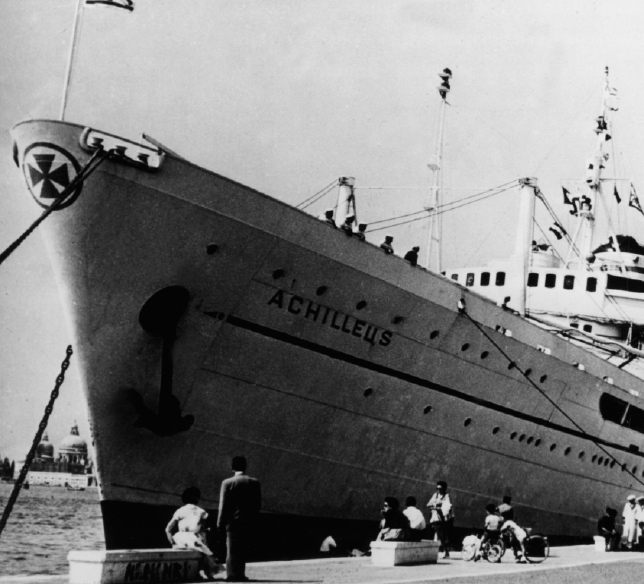 The Achilleus, which took Jacques and his wife, Etty, on the first part of their journey. Without Return will speak to anyone who has ever felt like an outsider. It testifies eloquently to the common humanity that unites us and offers an evocative journey into a world where people of all races, faiths, and nationalities—Greeks, Arabs, Jews, Italians, and French, among others—once lived together in peaceful coexistence. Above all, it is an engrossing personal history that encourages readers of all ages to discover their own. 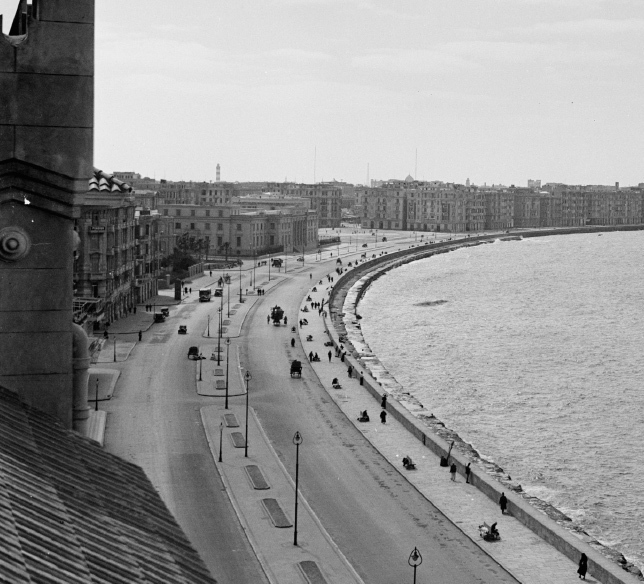 The famous corniche, or seaside boulevard, in Alexandria, Egypt.